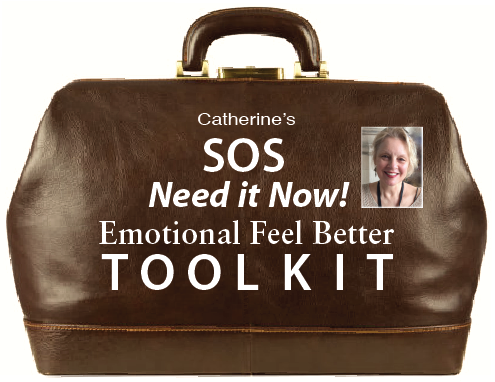 Whether you're going through a personal, school, work, family or life upset, Catherine's SOS Need it Now! Emotional Feel Better Toolkit™ helps you through it right now, from crises through everyday life stresses. What will I get right now? Our shopping cart is currently being updated. Please contact us directly to place an order. Thank you for your patience! If you saw Daisy the Cat on YouTube or the home page, please note that she shows up a little later in the Life Empowerment Fast Tracks™ self-mastery classes. The Toolkit is something to help you right now.